40 One of the two that heard John [speak], and followed him, was Andrew, Simon Peter’s (Note: the Rock of the church) brother. At that point, Jesus was a 30ish-year-old, full-grown, working man who, all at once, gave up his known life, to become an evangelist. He met Peter because he had entertained his brother, Andrew, at his dwelling place, which he had obviously worked for (or, as a craftsman, built himself), because he had just that very day been baptized into his true mission. That part where “…Jesus said to him, Foxes have holes, and birds of the air have nests; but the Son of man has not where to lay his head” was nine chapters into the Gospel of Luke (9:58) and considerably after he began to travel in ministry. I think this distinction is very important in the context of so many self-centered,“spiritual” teachings these days about going after things, in the name of Jesus. I figure, if you want something, save your money and go buy it— it seems to work for me, anyway. Luke 16:15: And he said to them, You are they which justify yourselves before men; but God knows your hearts: for that which is highly esteemed among men is abomination in the sight of God. Finally, speaking of buildings, Revelation 3:20 says: Behold, I stand at the door, and knock: if any man hears my voice, and opens the door, I will come in to him, and will eat with him, and he with me. The “good news” in the book of John, described above, plainly teaches us the same thing would happen if we were to knock on Jesus’ door (smile). This entry was posted in Politics, Religion and tagged Andrew, Bible, Capernaum, Chirstianity, Christ, Genesis, God, Gospel, Jesus, John, John the Baptist, Luke, Mark, Matthew, Messiah, Nazereth, New Testament, Old Testament, Peter, Prosperity Teaching, Rapture, Revelation, Simon Peter. Bookmark the permalink. 22 Responses to Did Jesus Rent or Own? This is AWESOME. I never thought of Jesus having a home other than the one he shared with his parents. I’m Catholic though and we were never much schooled in the Bible. I didn’t know the passages you talked about where he entertained in his “abode”. It makes sense. I guess toward the end of his life he traveled and didn’t have a set home. Didn’t he do that so he could depend on the hospitality of others? That’s what we were taught. Thanks…aren’t you the cotton candy cookie lady- smile– yum!! Greetings!!! First thank you for the follow on my blog as I am quite humbled. I fully enjoyed your this post and I am looking forward to reading more. Have a most excellent day!!! My idea which I’ve dramatised in my book on St Paul (Paul: an Unauthorised Autobiography by Mike Mair, pub. 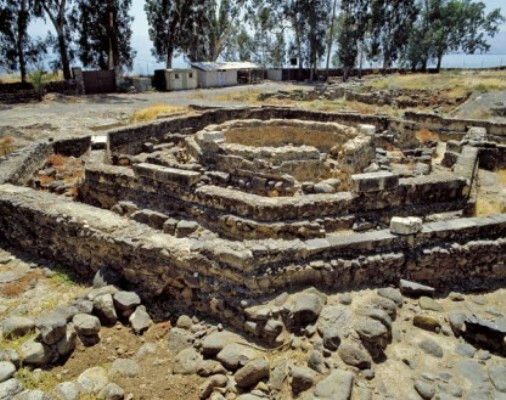 Kindle) is that Jesus built the house in Capernaum. The Greek word used to describe his trade, “Tekton” means a local builder, carpenter, handyman, who could do everything from constructing buildings to mending farm implements. I have one of his sisters telling Paul, “He was a better builder than a Messiah.” (She isn’t a believer). Anyway, I’m delighted to read your blogs and will continue to do so. Greetinfgs from Scotland! Very interesting about the builder, which was my thought as well– given the trade taught to him by Joseph, which would have been a cultural requirement, which would have included finding Jesus a wife, but I tend to leave that alone. Your post”China tolerates Chrstian mission in Tibet as bulwark against Buddhism…” opened my eyes with those words alone. Greetings from across the pond! Neat quote at the end. Good way of putting it. Well it’s a good “Lifeguard” principle, isn’t it– smile. Thanks for reading!. “Love Lifted Me” was a favorite in my childhood church. I Don’t hear much of the old hymns in my circles too often, anymore. Wonderful! I’ve never really thought about where Jesus lived before! I look forward to reading more of your writing. And thank you for following my blog. Thank you so much> -Very compelling “harvest: photo—mature man, mature crop. Thanks! That’s my Dad. He is the Pastor of our church. But, he is a farmer at heart! Enjoyed this blog, simply refreshing! I love fresh bread that provokes thought! Did skim VISION I will go back and read it fully! We have a commonality, maiden name, Allen! Well cousin, thanks for stopping by. I love your logo graphic. When you get time I have a fairly detailed account in my series arhcived in February here: “American History, Family History” etc tracing my ancestral roots, on both my mother and father (Allen) side, from Sierra Leone, to Sussex/Essex England, to Allens that were CHerokee and West Indian, to enslaved Parsons in Virginia Beach. See if you can find us in there, sometimes. All of my fathers brothers and sisters were Woodleys, we are the only Allens in the clan. But I know of Boston Allen Jr, 2x great grandfather(died in WWI) and his brother Claude Allen (2x great grandfather) and there were several other siblings named in a family bible who were scattered. I love it when I find a fresh voice and a thoughtful mind. You are certainly both! Very kind, Tom! I got in college on a music scholarship as a trumpet player. You can imagine how very much I appreciate the, to-me, priceless “horn” on your cover- smile! We often forget to consider the years that preceded Jesus’ ministry. Here Jim Allen reminds that Jesus gave up his home and a secure living to sacrifice his life in a painful death for the sake of our souls. Indeed, to God be the glory! We invest a lot in homes don’t we? And it’s great to have a nice home, or sometimes any home at all, but Jesus taught us not to be too attached to things of this world. Thanks for following my blog, also. Thanks for taking the time to read and write, as I explore “Oneness” on your blog! God Bless!